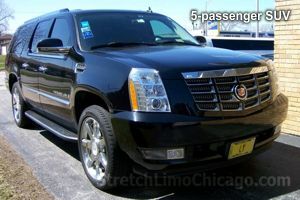 Yes, you are on the web site of #1 O'Hare & Midway Car Service & Limousine company in Chicago. 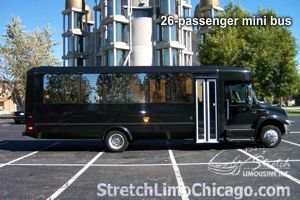 Stretch Limousine, Inc. provides airport shuttles and ground transportation services for businesses and travelers in Chicago, Illinois since 1995. We service the entire City of Chicago including all hotels in Chicago downtown (Zone 1), McCormick area & Chicago between South of I-55 and North of 79th St (Zone 2) and entire Chicago south side/south of 79th St (Zone 3). On January 1st, 2012, Illinois toll rate increased 100%. Gas prices change daily. Read more about current Fuel Surcharge >. Gratuity is part of chauffeur's compensation. Standard 20% gratuity is automatically added to every reservation. To all pick-ups between 11pm and 4.59am, additional $10 Late-night / early-morning fee will be added to your reservations. 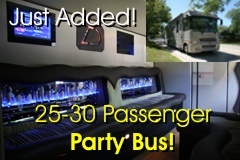 Additional stops enroute (on the way to your destination) are $10 plus gratuity in a sedan , $20 + gratuity in a stretch limousine and $25 in SUV limo. Got questions? Read our huge Frequently Asked Questions section. Please visit Illinois limo rates page for more rates between the entire state of Illinois and Chicago including O'hare & Midway airport. for availability or to schedule your pick-up! 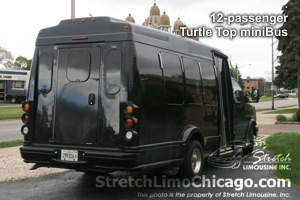 With multiple Internet Specials, advanced 24/7 online booking and reservation system, and experienced drivers, we are number one limousine in Chicago metro area. 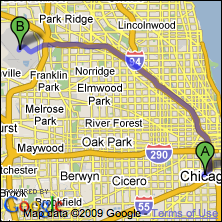 We primarily service Chicago OHare International Airport (ORD) and Chicago Midway Airport (MDW). 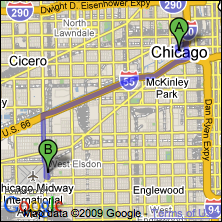 Click on a map where your pick-up or drop-off location is to see our Chicago limo rates. * Economy Car can be a hybrid sedan, sedan, minivan, limo or any other vehicle based on availability. ** Except sedans and SUVs, our point-to-point rate to or from Chicago Loop are valid Monday thru Thursday only. Limos and buses will have a minimum number of hours requirement on Friday, Saturday and Sunday. Please call or request a quote online for details. 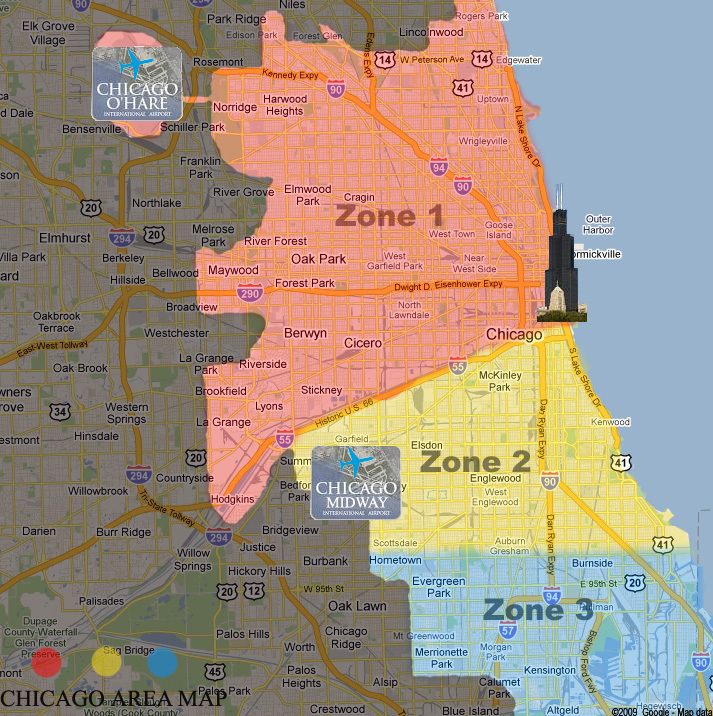 RATE ZONES: The City of Chicago is huge! For your convenience, we have three separate rate zones depending on your pick-up or destination address. For all hotels in Chicago loop (downtown area), please use Zone 1. For hotels in McCormick area, please use Zone 2. Please locate your address on Google Maps to determine your zone. If you are unsure about the location of your hotel, please submit a free quote request. CHICAGO ZONE ONE contains the following community areas: Downtown Chicago, Edison Park, Norwood Park, O’Hare, Dunning, Mont-Clare, Galewood, Austin, Lawndale, Garfield, Humboldt Park, Hermosa, Cragin, Belmont Central, Portage Park, Jefferson Park, Forest Glen, Sauganash, North Park, Albany Park, Irving Park, Avondale, Logan Square, West Town, Ukranian Village, Near West Side, Tri-Taylor, University Village, Loop, Near North Side, Goose Island, Wicker Park, Lincoln Park, DePaul, Roscoe Village, Lakeview, North Center, Uptown, Ravenswood, Lincoln Square, Edgewater, West Rogers Park, Rogers Park. Zone 1 includes the following zip codes: 60601, 60602, 60603, 60604, 60606, 60607, 60608, 60610, 60611, 60612, 60613, 60614, 60618, 60622, 60623, 60624, 60625, 60626, 60630, 60631, 60634, 60639, 60640, 60641, 60644, 60645, 60646, 60647, 60651, 60654, 60656, 60657, 60659, 60660, 60661, 60666, 60668, 60674, 60675, 60677, 60678, 60679, 60680, 60681, 60682, 60684, 60685, 60686, 60687, 60688, 60689, 60690, 60691, 60693, 60694, 60695, 60696, 60697, 60699, 60701, 60706, 60707, 60804, 60605, 60668, 60669, 60670, 60673. 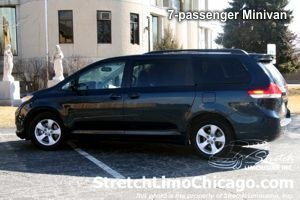 CHICAGO LIMO RATE ZONE 1 DISTANCE AND TRAVEL TIME TO CHICAGO AIRPORTS: The average distance between O’Hare Airport and Chicago zone 1 is between 12-20 miles (Ohare do Downtown is 18 miles) with an estimated trip time of 25-75 minutes depending on traffic and weather conditions. The average distance between Midway airport and Chicago zone 1 is also around 12-20 miles with an estimated trip time of 25-75 minutes depending on traffic and your pick-up location. ABOUT CHICAGO: Chicago, IL (as if you haven’t heard of it already) is one of the most culturally-diverse and populated cities in the world (third in the U.S.). From fabulous fine-dining opportunities to an exquisite arts & entertainment scene, Chicago is a place for those who want to really live. For more detailed information about anything Chicago, please visit www.cityofchicago.org. All rates are for ONE WAY transportation only. Please double for a round trip rate. 20% standard gratuity, airport tax and fuel surcharge will be added in addition to our base rate. For all night pick-ups between 11pm and 4.59am, $10 night/early morning pick up fee be added to your reservation. This fee will be added manually by our agents. Our online booking system is not yet precoded to recognize night pick-ups. Additional stops en route are $10 plus gratuity and fuel in sedans, $20 plus gratuity and fuel in stretch limos (up to 12-passenger limos) or $25 plus gratuity and fuel in big SUV limos (14+ passengers). First time at Chicago airports? Find out what to do upon your airport arrival! We offer airport limousine service in majority of our vehicles including: 3-passenger luxury sedans, 5-passenger SUVs, 7-passenger Minivans, and 6, 8, 10, 12-passenger stretch limousines, 14, 20-passenger big SUV limos, 12-passenger luxury vans as well as mini/motor coach buses. Please visit our FLEET page for more photos and vehicle details. All of our sedans and limos are NON-smoking vehicles! To accommodate clients with children, we carry a variety of child seats and boosters. There is a $7 fee car seat rental or storage per car seat. For all online reservations, please specify in notes what kind of car seat you need and how many.